I’ll never be dismissive of Scottish midges again. If you read our midges in Scotland page - and you know you should - you might detect the faintest hint of ‘Och, what’s all the fuss about?’ Sure, Scottish midges never killed anyone - but, yes, they can be a pain. 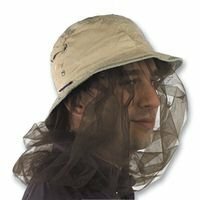 However, after our experience during a hot still day in mid-August, I’m not so sure that I am taking the whole midge issue seriously enough. To set the scene: we were returning from a 16 mile / 26km hike in the Cairngorms National Park. It was mid-evening. The sun was low and, significantly, the wind had dropped away completely. Looking east from White Bridge, which spans the young River Dee about half-an-hour's blistered limping west of the Linn of Dee and the Mar Lodge Estate carpark. The attack of the killer midges took place on the river-flats (we'd call them haughs) on the left-hand side. But it was on the wide expanse of the glen that the problem started. 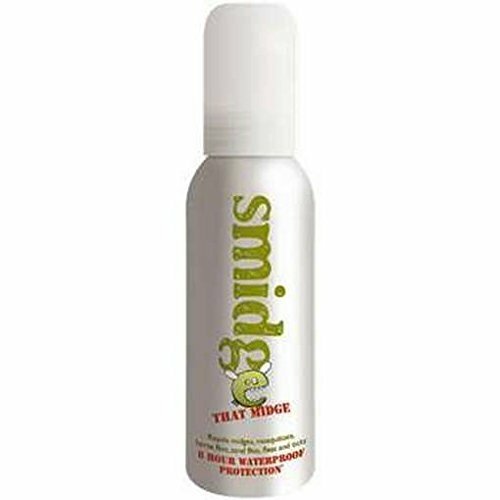 The very effective Smidge that Midge had long ago worn off. It was now hidden in that churned-up collection of spare garments, maps and sandwich crusts that is an end-of-day rucksack. The all-important deterrent was either in Johanna’s pack or mine. But which one? We had only seconds to decide and there appeared to be clouds of midges following us and closing in. Johanna was walking slowly, as you do after all those miles and with a blister to nurse. We were walking too slowly and so were outrun by them, in fact. A moment later, out there in the wide expanse of grass and bog and open water patches, there were more midges than truly I have ever seen before. And I’ve seen a lot. So many, in fact, that they began to take the form of an almost solid cloud, just above and behind our heads. We couldn’t help but inhale them both by nose and mouth. The dog was on the ground rubbing his face on the stones. Johanna was hurling things in all directions out of the rucksack and coughing. Can you outrun a midge? We eventually gave up finding the anti-insect spray, repacked hurriedly and hobbled away, cursing and spitting. Did I take a picture at that point? No. Out of the question. I was just about down with the dog rubbing my own face on the stones too. Camera? Not so much as a spare finger to press the shutter. Truly, for a mad howling moment, we almost panicked and ran. Only, we couldn’t. About half an hour later, with the light fading fast, we reached the bridge at the Linn of Dee. I raced ahead to get the car. Johanna waited by the bridge. He asked Johanna - little knowing he was talking to a tourism expert(!) - if there was anything that could be done about the insects and was it dangerous to swallow them. Was there a plant that might keep them away he asked. He was all but in tears. Here was someone who was definitely having his holiday spoiled. Actually, as we had just experienced, breathing and swallowing midges under certain circumstances is unavoidable. Johanna did her best to reassure him but told him to keep walking - though running was even better. He went on his way, disappearing into the twilight - coughing and cursing just like us. The young River Dee falls by a series of delectable pools above White Bridge. And midges can't bite you under water. The sun is setting over the western Cairngorms. 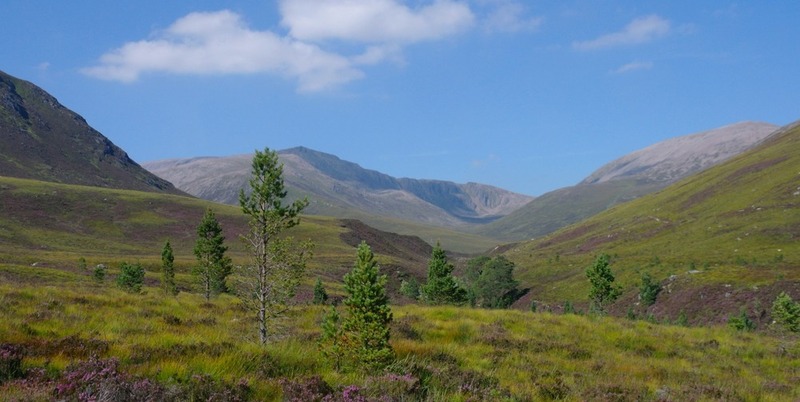 Glen Luibeg is a kind of gateway to the heart of the Cairngorms from the Mar Lodge or eastern side. Not quite as busy as Strathspey and the Aviemore access points! The historic through-way between Deeside and Speyside. Not to be undertaken lightly! The remote heart of the Cairngorms National Park - in exceptionally benign summer weather. Not often seen like this! A hot, hot August day with the heather at its best.